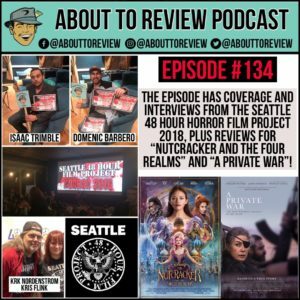 This week’s jam packed episode has solo reviews for “The Nutcracker & the Four Realms”, and “A Private War”, as well as my favorite picks from the 2018 “48 Hour Horror Film Project”! This episode also features interviews with several people from the horror film festival! To start off the show I review the new interpretation of a holiday classic in “The Nutcracker & the Four Realms”, then a hard pivot to the biopic of acclaimed war correspondent and journalist Marie Colvin. After that I go over my choices for favorite film from the 2018 48 Hour Horror Film Project! 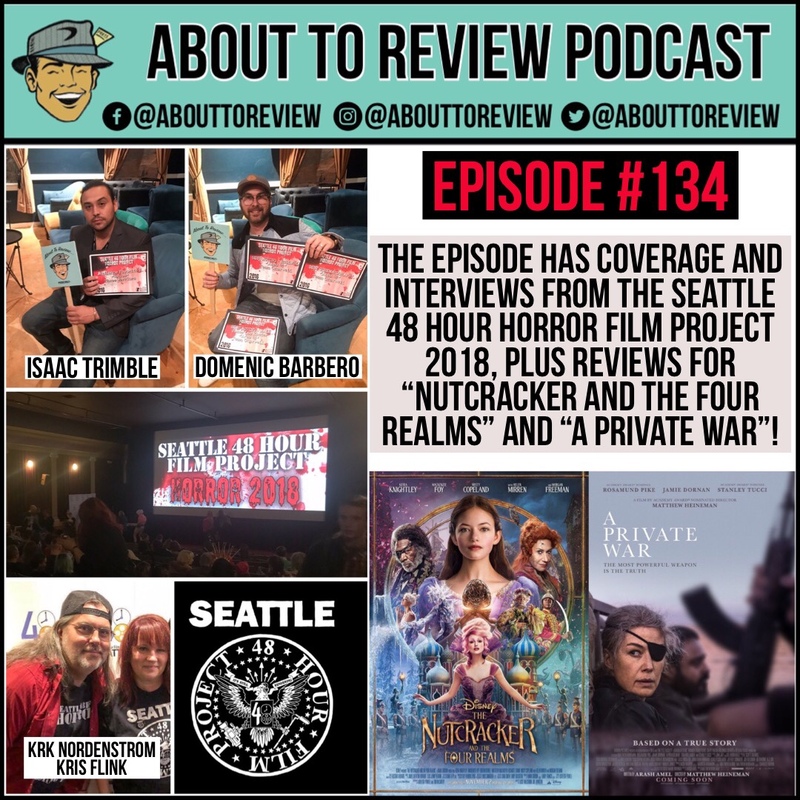 To round out the episode, there are three interviews that include festival city producers Krk Nordenstrom and Kris Flink, director of the film “Area 43” Domenic Barbero, and filmmaker Isaac Trimble from the film “Sacred”. Falcon and Winter Soldier getting a limited series. This should put the Netflix news in perspective.